We want these features in Android, but we probably won't get them. Are you paying attention, Google? 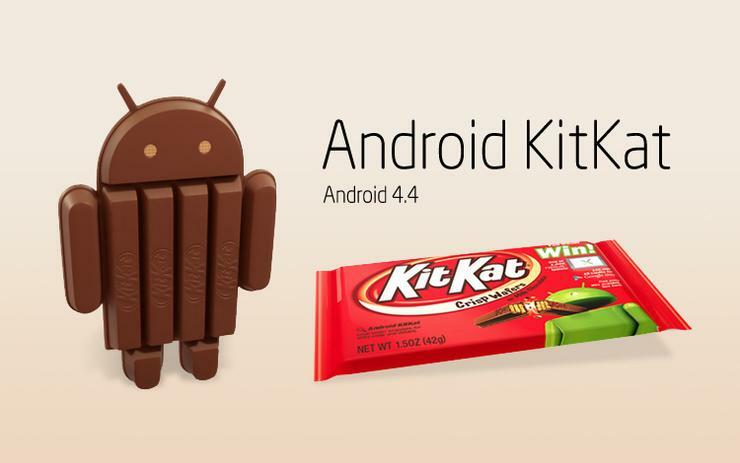 In light of the blah-fest that will surely be Android 4.4 Kit Kat, we're already looking forward to next year's version of the OS with all the patience of a child on Christmas Eve. We're due for a major version update, and we want it to be something that makes everyone sit up and take notice. We've taken the time to gather a list of shortcomings that we believe Google could better address in the next version of Android. There's no guarantee Google will tackle any of these issues within the next 12 months, but we hope that at least some of them are on the company's short list. No matter how you feel about Apple's Siri, you have to admit that its attitude is part of what makes it so endearing--even as it mispronounces your name or fails to answer your question. The voice-search component in Google Now is already magnitudes better than Apple's offering, but Google can crank things up a notch by giving its voice assistant some much-needed personality. Heck, while Google is at it, how about letting us download different voice packs so we can choose who talks back to us? We would definitely pay extra to have Morgan Freeman tell us how to get to our destination. Google does a great job of presenting information so you get what you need at a glance. Widgets follow that line of thinking, but they are awkwardly shaped and often take up too much valuable space on your home screen. One solution would be to replace the standard app widgets with cards like the ones you get on Google Now. Not only would Android look better, but also you wouldn't have to dig through your apps to find out the weather or see if any interesting places are nearby. You know, exactly like the live tiles on Windows Phone...except without the Windows Phone part. Let's face it: Android devices can be pricey. Even if you buy your phone on contract, usually you're still paying $200 to $300 for a top-of-the-line handset and locked into a two- or even three-year agreement. Android tablets also suffer from hefty price tags, often retailing for $500 or $600. Google could help mitigate the costs by providing a "special offers" version of Android, much as Amazon does with its Kindle devices. Phones and tablets running this version of Android would cost less, but would serve ads to offset the reduced price. If you wanted to remove the ads, you'd be able to do so by paying a modest fee just as you can on Amazon's Kindles. Google is no stranger to aggressively priced hardware, and offering even more budget-friendly devices would help expand the company's reach to people who normally wouldn't be able to afford a smartphone or tablet. Bloatware and manufacturer modifications are the bane of Android. Millions of people will never get to experience Android the way Google wants them to, because--save for a select few devices--most Android tablets and phones have some sort of overlay running atop the OS. Not only are these unwanted extras annoying, but they also contribute to Android's fragmentation problems and typically aren't all that beneficial. Google will probably offer up some sort Google launcher to make the home page and app drawer look like a "pure" Nexus device, but that's a half-measure. The real answer would be a Nexus toggle in the options menu. Something that doesn't just hide all that bloatware beneath a clean coat of paint, but excises it to a separate partition. This Android Experience toggle would reboot your phone, and not load any of the background processe, apps, launchers, and skins foisted upon you by your manufacturer. Of course, you may give up some fancy functions in the process, but you could always flip the switch and reboot back to the land of branded overlays and bundled apps. We can't imagine Google's hardware partners, and the carriers that insist on preloading apps (we're looking at you, Verizon), would take kindly to this sort of thing, so it will probalby never happen. But we can dream, can't we? Say what you will about Samsung, but the company's multiwindow approach to multitasking is phenomenal on tablets and other large-screened devices. Being able to run two or more apps side by side is a real boon to productivity, so why shouldn't Google adopt the functionality for the next version of Android? Now instead of just being on Twitter while watching TV, you can also look up an actor's IMDb page and shop on Amazon without having to jump in and out of apps. Obviously your mileage would vary depending on how new your device is, and you wouldn't be able to run all apps side by side, but your tablet would finally feel more like a replacement for your PC than a pure entertainment machine. Google can even keep things "in the family" by saying it stole the idea from Samsung, though the feature has been standard on Windows 8 tablets for over a year. So what do you want in the next version of Android? Leave your suggestions in the comments below. You never know--maybe Google is paying attention.